Ocean City in the US state of Maryland is a brilliant holiday destination for families as there is so much for them to do together. The amount and variety of activities on offer there is amazing, and travellers will feel at home when they arrive in this sunny part of the country. 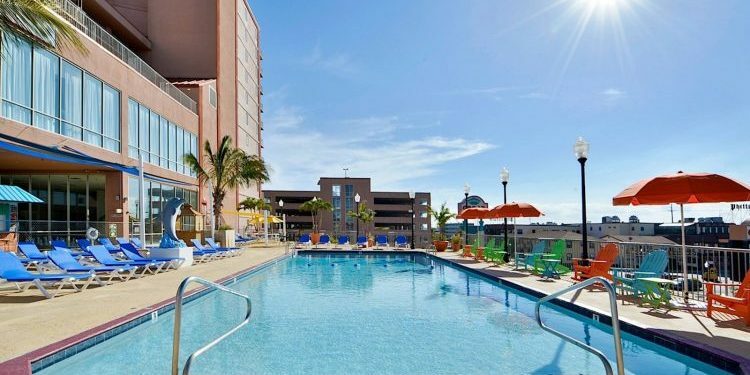 Tourists must definitely make an itinerary of what they want to do and where they want to go when they head to the lively Ocean City. This will make it much easier for them to enjoy their time away, and they can fully unwind without worrying about what to do next on their trip. Tourists will definitely want to venture to the amazing Frontier Town that is a replica western town representative of around 1880. The Wild West Shows at this venue in the lovely town of Berlin are superb and feature a Best of the West exhibition. There are also excellent Can-Can shows, traditional dancing and this destination is ideal for young travellers. They can go ride on the paddleboats, try out the stagecoach and experience the stream train. There are excellent western gift shops, wonderful eateries and the chance to really step back in time. Ocean City is a fantastic place for visitors to head if they want to try out some water sports. There are many things that travellers can do including jet-skiing, sailing and also taking a ride on a banana boat. This is a great thing to do with all the family as usually around four people can get on boat and ride it up and down the beach. Another pastime tourists must try out is the OC Screamer that is an exciting high-speed jet boat ride. This 30-minute trip can take up to ten passengers and passes some of the most beautiful Ocean City views. 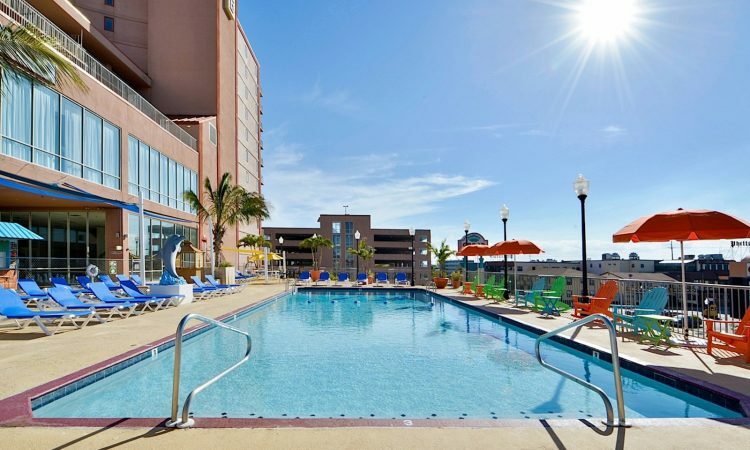 There are many hotels on the boardwalk in Ocean City Maryland worth booking for a holiday. Tourists heading to the Grand Hotel and Spa will adore staying at this accommodation that offers such amazing amenities including a mini-fridge, television and coffee maker. The air-conditioned living spaces are perfect for business and leisure guests who want to feel at home as soon as they arrive. The Aqua Day Spa is a wonderful feature that provides a range of top therapies that will allow tourists to unwind during their holiday. There is also a fitness centre and sauna that travellers will adore when they head there. The residence has indoor and outdoor pools, as well as five top restaurants with an array of food on offer. There are many fantastic golfing destinations available in the Ocean City area, including the superb Bayside Resort Golf Club. Found in nearby Delaware this is a special place as there is a Jack Nicklaus Signature Golf Course there. The excellent course offers stunning views of Assawoman Bay coastline and fabulous pine forests. Travellers will experience a unique game that allows them to play through marshland, wide-open fairways and tree-lined areas. This venue will provide a truly memorable experience for tourists heading there for a game.